Colours play a significant part in determining the overall effect that a room has on an individual. The preferences of individuals differ, with several people having favourite colours that they would love to have as part of their daily display. On the other hand, houses host different personalities, and children may be given a chance to choose the colours they love, or those that resonate well with their age and gender. Moreover, different colours are associated with differing meanings, and this can be translated in a room to give the desired implication. The function of colour cannot be overestimated, as several aspects of the home design rely on the beauty of the theme colour. Additionally, the colour should be chosen keenly to ensure it rhymes with most of the furniture and furnishings, acting as an amazing background rather than increasing the confusion in a room. Homeowners have the liberty of changing the colours as often as they wish, as it only requires repainting. This can involve a professional painter, or be achieved as a do it yourself project. Regardless of your preference, choosing the right paint plays a fundamental role in enhancing the beauty and design of the home. Choosing the right colour for your paint is the first step in the right direction. 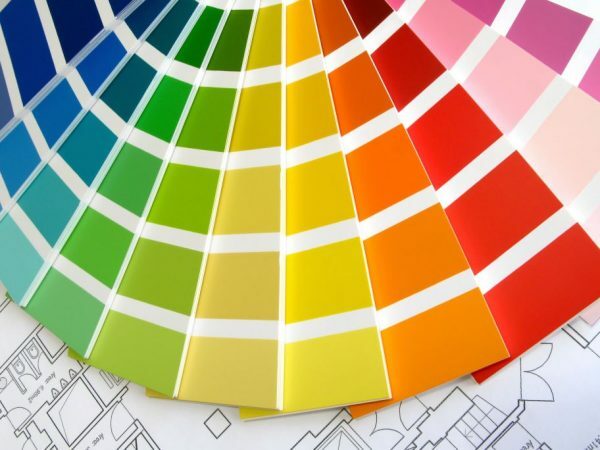 Several conventional colour schemes help users to choose the right shade of colour they want for their paint. You can choose from this scheme, combining colours to achieve the right shade for your project. Bear in mind the needs and use of the room to be painted to ensure you bring out the right communication through your walls. Personal preferences also play a key role at this stage. Although the conventional scheme is a good start, advances in technology have enhanced the ability to choose an amazing and unique colour for your project. Approaching colour choice artfully is an easy way of getting the task done efficiently and appropriately. Other consideration to mind when choosing the colour of the paint include the emotions that the hues trigger, the cultural meaning of the colours, the mood they enhance, and the aesthetic value of the colour. The hue or shade of the colour, its tone, smoothness, and tint should all be considered. Similarly, one may choose to use different shades in the same room, with a single wall with greater contrast to achieve increased beauty. Besides the colour of the paint, choosing the right quality will be an economical decision to make. Sometimes, cheap paints may seem desirable because they cut on costs, but they will prove costly due to the increased likelihood of wearing off fast. These paints are likely to peel off the walls fast, dissolve when in contact with water, and allow moulds to grow within a few months of installation. This implies that the owner will have to go through the whole process of repainting within a few months of use. 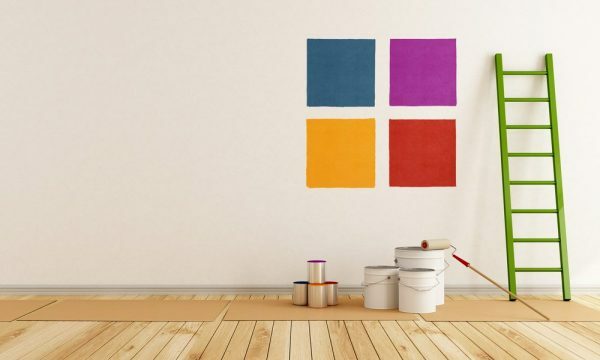 Thus, spending more money to buy high quality paints is a desirable venture as it reduces the frustration of having to redo the project, lasting longer and offering the best services for the initial price. High quality paints are formulated effectively to ensure they do not dissolve in water, making it easy to keep the walls clean and safe, even when they contact water. Paints that do not dissolve in water are also less prone to stains that arise following continuous use. This is often the case with latex paints, which is the reason most people use this paint for their projects. Moreover, this type of paint is renowned for its durability, a better breath, and lower risk of fading over time. Oil based paints are also desirable among some users, although they do not offer similar quality with the superior latex paints. Some users prefer the oil paints on wooden surfaces, while others choose to combine both paints on the same surface. Whichever type of paint you choose, it would be commendable to consider other aspects before settling. For instance, increased sheen on a surface enhances the look of a home, making it easy to maintain cleanliness as it does not stain easily. However, you should be careful with the type of room where you include a glossier shine, as it may be undesirable in rooms such as the living room. On the other hand, surfaces in the kitchen or bathroom thrive when using the semi-gloss paints that are easy to wash and less prone to damages. Choosing a matte paint can be desirable if you wish to cover several blemishes on the original surface. However, combining the matte and gloss looks would enhance the beauty of a design, in that the wall will harness the best of both worlds. This is because the matte finish, when used alone, is prone to dirt and washing the walls may damage the paint. Thus, sheen on one layer of matte will increase the durability of the paint. The price is another critical consideration in any painting project. This is where you choose a durable paint at the best price in the market. Granted, some types of the paints offer great durability and service than other do. However, these expensive ones may not be always desirable, since the only difference between them and others in the market is price, rather than quality. Conducting a cost-benefit analysis ensures the decision to purchase a particular paint. It is a multivariate process involving several concepts. For instance, it requires a thorough investigation of the right colour to choose, as well as the quality of services offered by the paint. Personal preferences mingle with cultural meanings to give rise to a guide on choosing the right paint and colour for your project. The conventional meanings of colours, the use of colour schemes, and even colour wheels still have a place in the selection process. Overall, the paint quality and price should also be considered to prevent the user from paying extra charges for low quality of services.